This month we are highlighting one of the special gift offers given on The Hour of Decision radio program. 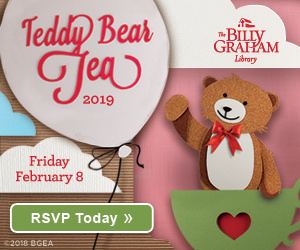 Billy Graham’s inspirational message given on July 4, 1953 in Dallas, Texas was produced as a special 78 RPM phonograph recording to be sent to those that responded to the ministry. “Whatever you may believe, no one can close your church because your religion does not coincide with theirs. A few people meeting in a small, out-of-the way shack, worshipping God as they believe in Him, have the same right to religious freedom that the people who worship in the greatest cathedrals on the greatest avenues of our cities. 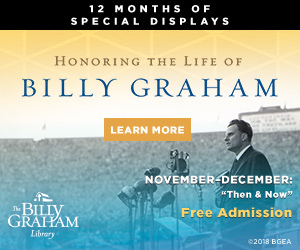 Shown above is the original 78 RPM phonograph record from the message Billy Graham gave on July 4, 1953 in Dallas, Texas. We hope you are inspired by this timeless message. 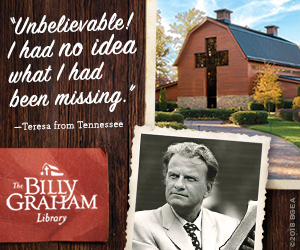 Please take the time to come and visit the Billy Graham Library to discover more about the life and legacy of America’s Pastor. 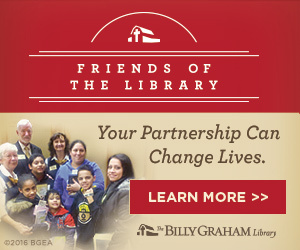 If you have any other questions, contact us at librarytours@bgea.org.